ARE YOU LOOKING FOR AN ALL INCLUSIVE, RELIABLE, SAFE AND QUICK BLACK CAR SERVICE FROM CHICAGO AIRPORT? 5. AS YOU WALK, WE ARRIVE IN A SUPREME BLACK CAR FOR YOU TO ENJOY AT A COMPETITIVE, ALL INCLUSIVE 24/7 FLAT RATE. 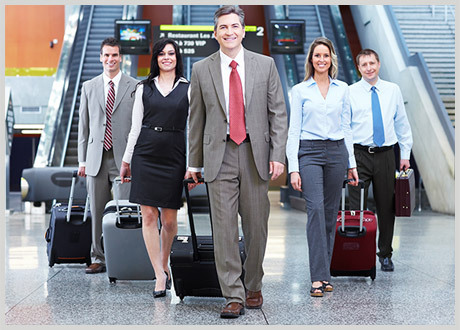 If you’ve just stepped off a plane, tired and aching from a long flight, there can be no better cure for your pain than a quiet, smooth, punctual Chicago Airport Black Car service near you by Legendary Private Car. For those who don’t look forward to tackling public transport maps or haggling with local taxi companies, the Legendary fleet is always there, with all-inclusive prices for quality rides near and far from Chicago airports. CLICK NOW ON BOOKING AND EXPERIENCE THE BEST CHICAGO AIRPORT CAR SERVICE YOU HAVE BEEN SEARCHING FOR. What Kind of Cars Do I Have at My Disposal with Legendary Airport Car Service? You can book in advance a Executive, Midway, DuPage or O’Hare Chicago airport car service to and from any regional airport. Are you traveling with family or colleagues? A Legendary black SUV can transport groups of up to seven together, with plenty of room for luggage. For the epitome of style and comfort, consider the quiet and spacious 2018 Mercedes Benz S560, or sleek Lexus LS460, for a sedan ride near the airport, to your business meeting, doctor’s appointment, sporting event, wedding, concert, or any other occasion. Simply put, Legendary has plenty of first-rate vehicles for all intents and purposes. All of them are carefully maintained and ready to hit the road at your earliest convenience. Where Can I Get the Best Sedan Service Rental in Chicago? Literally anywhere. No matter what is your current location, Legendary chauffered service near me will find a way to get you. Do you want a ride from McCormick Place to Barrington Hills, perhaps? The drivers at Legendary know by heart how many miles are there between Chicago Union Station and Glencoe, what is the distance between Highland Park and South Bend, and the best way from Buffalo Grove to Deerfield etc. Just tell us where to, whether it’s some Chicago Airport or any other location and relax. You’ll get wherever you’re going in the most comfortable way possible. How Much Does Airport Livery Ride near Chicago Cost with Legendary? Per hour or per mile? In an SUV Cadillac Escalade 2019 or Mercedes E 350? Do you need a ride from South-West Chicago Suburbs, North Shore, or North-West Chicago Suburbs? Do you want to get the “meet-and-greet” at the airport option? There are multiple things that factor into the price of the nearest Chicago black car rental. You can always turn to the Legendary customer service to help you clear things up, or take this handy widget for a spin to see the financial outline of your custom-made luxury ride. After you’ve confirmed the calculated fare and payment details, you will receive an email of confirmation shortly afterward. Additionally, two SMS updates with your assigned chauffeur’s contact information will be sent to your cell phone number prior the pickup time: one informing you that your car is on its way and a notification of arrival at the pickup location. That being said, Legendary Private Car prides itself on transparency, which is why you won’t receive any hidden fees when you book with us – the price you see is the price you pay, no surcharges, guaranteed!